A once in a life time trip happened twice when we were invited back to document late season shipping on the lower lakes. 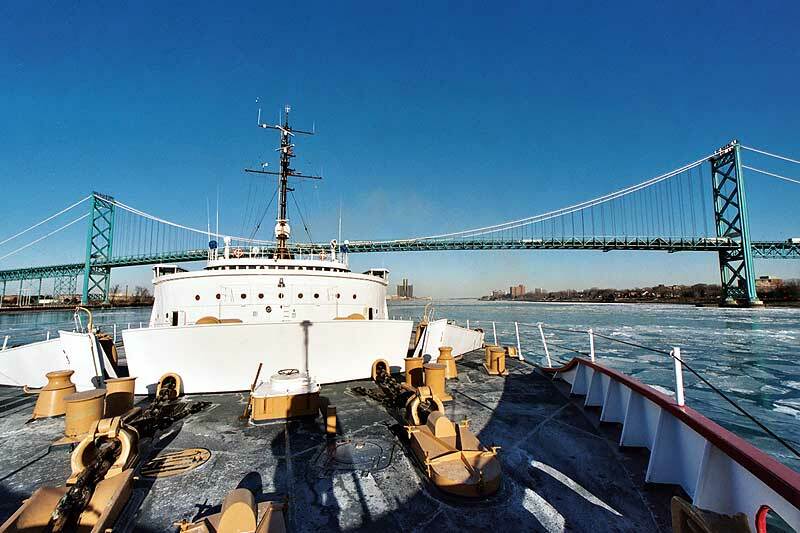 This second trip documents the Mackinaw and her dedicated crew working the late season trade on the Detroit River and Lake Erie. Ride along for an exciting trip battling mechanical failures and ice driven by days of relentless gale force winds. There's even a chance to practice ice rescue procedures off Cleveland in the fridge waters of Lake Erie. Conneaut, Ohio poses a challenge to the Mackinaw as ice has piled to the bottom of the channel, Mackinaw gets stuck and has to use all of her unique systems to get free.